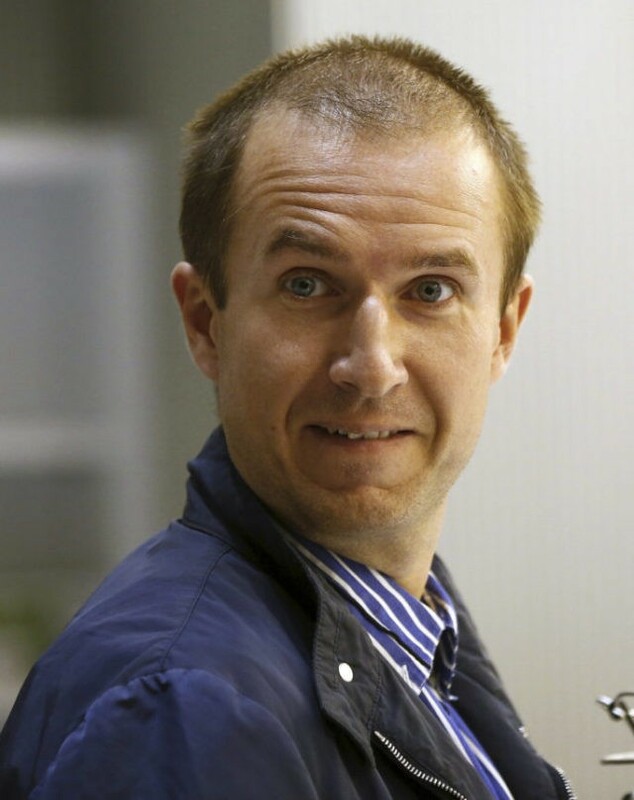 MADRID (AP) — Russian authorities are fighting the extradition of an alleged Russian hacker from Spain to the United States, the suspect’s lawyer said Friday, in the latest move by Moscow to block U.S. prosecution of suspected Russian cybercriminals. Pyotr Levashov, a 37-year-old known as one of the world’s most notorious hackers, was arrested earlier this year while vacationing with his family in Barcelona on a request from the U.S., where authorities want him on charges of fraud and unauthorized interception of electronic communications. Levashov’s lawyer, Margarita Repina, told The Associated Press that a Russian counter-extradition request was filed with Spanish authorities Thursday, hours before a hearing in Madrid to decide whether he should be handed to U.S. authorities. The Russian Embassy in Madrid didn’t immediately respond to requests for comment. The hearing at Spain’s National Court on Friday was suspended after defense lawyers alleged his arrest on a U.S. request was politically motivated and argued he should be tried in Spain. Authorities in the U.S. have linked Levashov, via his alias “Peter Severa,” to a series of powerful botnets, or networks of hijacked computers capable of pumping out billions of spam emails. His arrest is part of a series of U.S.-initiated operations over the past year to seize the alleged Russian cybercriminals outside their homeland, which has no extradition treaty with the U.S. The operations come as politicians in Washington are grappling with the allegation that Kremlin hackers intervened in the U.S. election to help President Donald Trump. Dressed in black sneakers and jeans and speaking through a court translator, Levashov said he didn’t want to be sent to the U.S. because he feared for his life and didn’t want to be tortured during detention on U.S. soil. The court suspended the hearing until next week to allow time for the prosecutor to review new documents submitted by Levashov’s defense to back their allegations that the U.S. wants him for reasons beyond his alleged cybercrimes. The lawyers said that the documents are meant to show how Levashov gained access to Russian state secrets while studying in St. Petersburg, how he received military training to operate missiles. The conflicting extradition requests echo the recent cases of Evgeny Nikulin, a Russian hacker accused by American authorities of penetrating professional networking site LinkedIn, and of Alexander Vinnik, who is wanted in the U.S. on charges of running a multi-billion-dollar digital money laundering network. Nikulin, who was arrested at a Prague restaurant in October, is the subject of a tug-of-war between the FBI, which wants him to face trial in the U.S. over hacks linked to several massive data breaches, and the Russians, who are seeking him on a far less serious charge. On Tuesday, Vinnik’s lawyer, Xanthippe Moyssidou, said the Russian, who was arrested in Greece in July over American allegations that he ran Bitcoin exchange BTC-e as a cash machine for cybercriminals, was also being sought by Moscow. Vinnik is fighting extradition to the United States, but Moyssidou said her client was willing to return to Russia. AP reporter Raphael Satter contributed to this report from Paris.